Photo by of Jay Sowers. 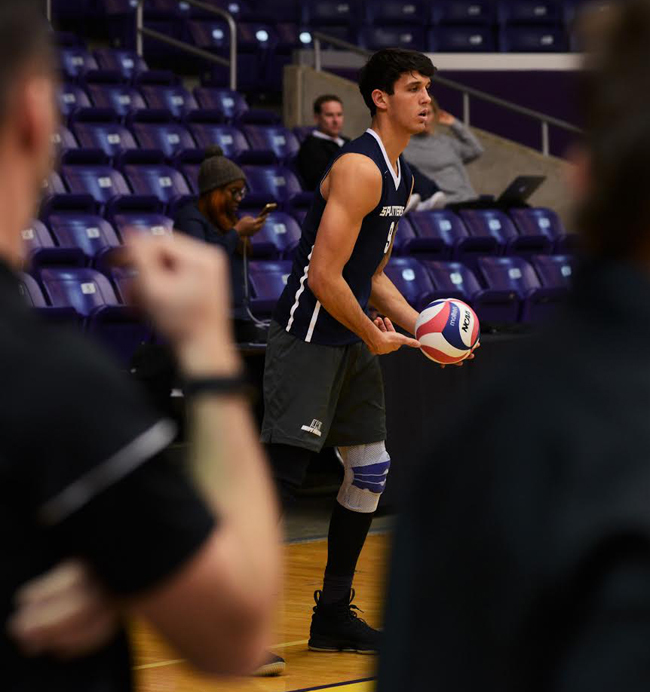 A season-best performance has resulted Lincoln Memorial middle attacker Pedro Carvalho winning a college men’s volleyball award for the second time this season. Carvalho on Monday was selected as the Off the Block Independent Teams Player of the Week. Carvalho led all players with a season-high 11 kills and zero attack errors on a .846 attack percentage as Lincoln Memorial swept Coker on Friday. The middle attacker also had both a match-high five blocks and two aces in the victory that secured the Railsplitters having the No. 1 seed for the upcoming IVA Tournament. Lincoln Memorial finished the regular season with a player earning the Independent Teams Player of the Week five times. Opposite Evan Cory earned the honor three times, while Carvalho previously won the award in February. The Independent Teams Player of the Week recognizes the best player during the week from NCAA Division I-II men’s volleyball teams that are competing without a conference affiliation. The four independent teams this season are Alderson Broaddus, Coker, Lincoln Memorial and Queens. Along with the weekly award, Off the Block will present the All-Independent Team and the Independent Teams Player of the Year. Both of these awards will be announced later this on week on the Off the Block website.